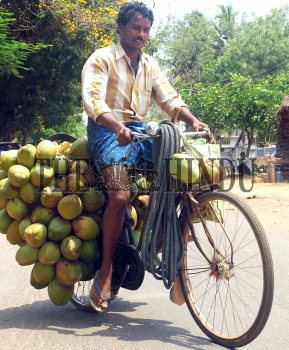 Caption : KHAMMAM_(ANDHRA PRADESH)_Seasonal businesses: A vendor selling tender coconuts hanging them on the side of the bicycle. Photo: G.N. Rao (12-04-2010) .